Models Own Concrete Mixer // Essie Case Study // China Glaze Dress Me Up // Sally Hansen Delphinium // Sally Hansen Commander In Chic. 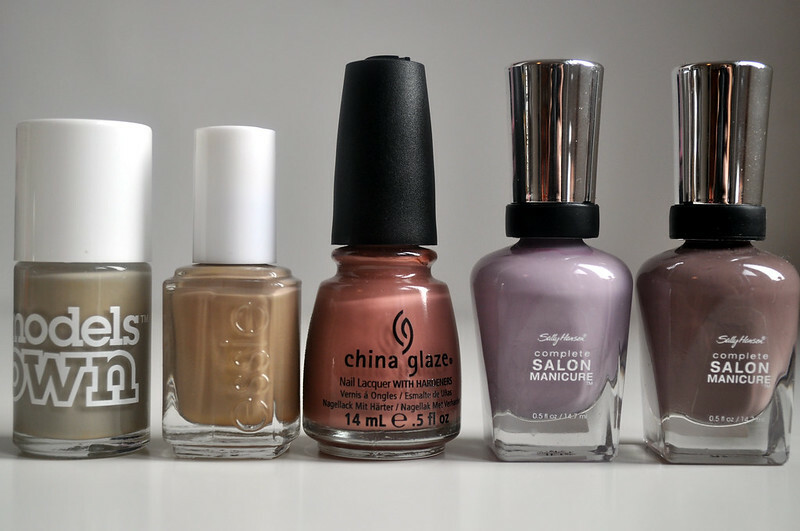 Autumn nail polishes for me are dusky dirty colours like these five. I save the darker colours for winter! Great choices! Models Own is always a winner for me. Really love the look of the two Sally Hansen shades are I adore that range and also CG Dress Me Up. Dress me Up is so pretty! I absolutely love China Glaze, they're such good quality!